This is just a short comic dub that I wanted to do. All the lines listed in the auditions are all the lines needed for each character. It is just this comic that I am dubbing at the moment, but I plan on dubbing more in the future. Just make sure that you have a good quality mic. Good luck to all who audition. I have extended the final date to Friday, February 2nd. 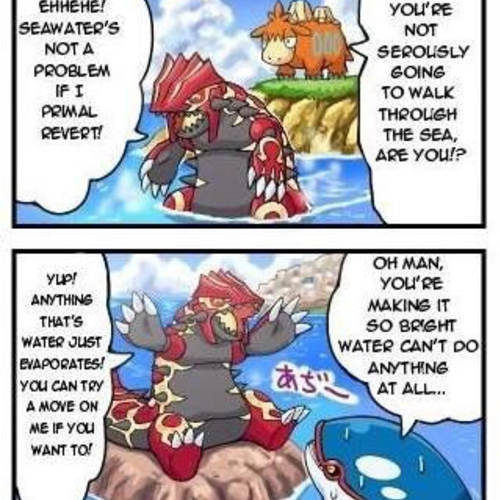 For Groudon, I would say something that is a deep and gruff voice. Alright! I'll be heading over now! Ehhehe! Seawater's not a problem if I primal revert! Yup! Anything that's water just evaporates! You can try a move on me if you want to! 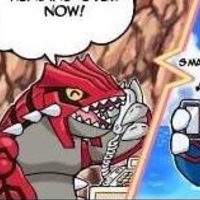 For Kyogre, I'd say come up with a voice that you think fits for him. Hey Groudon, I'm free right now so let's hang out! 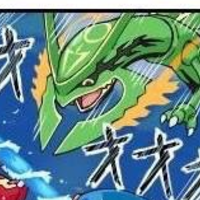 For Rayquaza, I was thinking in terms of his voice range should be along the lines of Shenron from the Funimation dub of DBZ. But be as energetic as you can be with it since he is basically trying to sound excited as he appears. 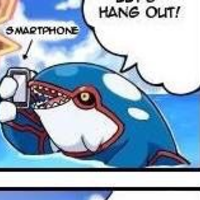 HEY KYOGRE! I CAME TO HANG OUT TOO!